In this video Sean Cannell from Video Influencers interviews Lewis Howes in his studio in West Hollywood, California. 17:38 What is a webinar? 24:21 Lewis Howes freestyle rap battle? Lewis Howes is an American author, entrepreneur, and former professional Arena League football player. He hosts The School of Greatness, a talk show distributed as a podcast. His YouTube channel has over 2 million views and his podcast has over 9 million downloads. 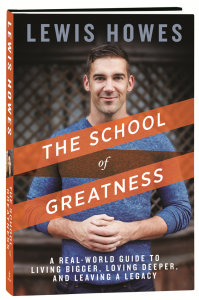 Check out Lewis Howes new book, “The School of Greatness” HERE. This video and the Video Influencers L.A. Tour is brought to you by FameBit. FameBit is the #1 Platform for YouTube, Instagram, Vine & Twitter creators to connect with brands for paid sponsorships. Get signed up and start making money today here https://fbit.co/itC. Thanks for watching and make sure to subscribe on YouTube HERE for new interviews and videos and join the email list HERE for exclusive content.